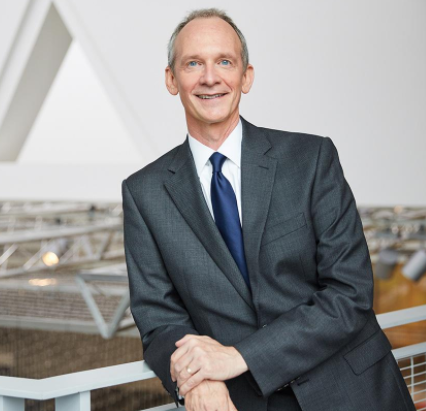 Dr. David P. Nelson is the 12th president of the Massachusetts College of Art and Design and brings more than 15 years of experience in higher education in administrative and academic roles. Prior to his arrival at MassArt, President Nelson served as Provost and Chief Academic Officer at the University of North Carolina School of the Arts (UNCSA), the country’s first state-supported performing arts school, from 2010-2016. At UNCSA, Nelson completed fundraising to establish an endowment for the Fletcher Opera Institute, at $13.7 million the largest endowment in the university’s history. He also instituted a system of faculty rank for the first time at UNCSA and led the creation of a new Teaching and Learning Center to offer student learning services and faculty support. In addition to his experience and expertise, President Nelson brings to MassArt a commitment to the ideal of quality public education that opens doors to talented students. As a first-generation college graduate, Nelson knows the power of education to change lives. He studied music from an early age, and with the encouragement of a high school band director, he attended college on an arts scholarship. After completing graduate training as a conductor, he later returned to graduate school to study theology, which led him to teaching and writing in religious studies before he began work as an administrator. While in university administration, Nelson has remained active as a teacher, artist, and community leader. He has regularly taught courses in philosophy of religion and religious studies. He served as music director for UNCSA’s production of Twyla Tharp’s “Sweet Fields,” and in collaboration with violinist Ida Bieler, presented a lecture recital on the solo violin works of J.S. Bach. David has served on various boards, including the Thomas S. Kenan Institute for the Arts and the North Carolina Humanities Council. Nelson received his Ph.D. in Theology from Southeastern Baptist Theological Seminary, and a Master of Music and Bachelor of Music from Hardin-Simmons University.